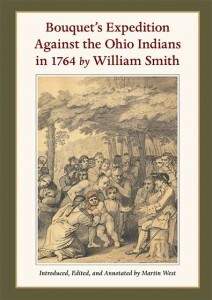 Provost William Smith of the College of Philadelphia wrote a history of these events in 1765 titled Bouquet’s Expedition Against the Ohio Indians in 1764. Subsequent editions and printings appeared in London, Amsterdam, Dublin, and Paris until 1778, making this book the most widely circulated and read work on warfare and diplomacy in the Ohio country to emerge following the Seven Years’ War. The literary reputation and impact of Bouquet’s Expedition surpassed all similar contemporary works published on either side of the Atlantic and is probably the most prominent description of an Indian captivity narrative available from the eighteenth century. The dramatic return of the captives described by Smith inspired Conrad Richter’s 1953 novel The Light in the Forest and the Walt Disney movie of the same name in 1958. This fully annotated edition of Smith’s remarkable book, drawn from all the 1765–1778 versions, includes a new introduction with essays on Smith and his contributors and sources, such as Bouquet, Benjamin Franklin, and Edmund Burke, in addition to a new history of the publication. Numerous eighteenth-century images, sketches, drawings, engravings, and paintings are reproduced, and for the first time Benjamin West’s two original drawings of Ohio leaders negotiating with Bouquet and the return of the captives are featured. Also included are impressive maps drawn for the book by Thomas Hutchins, Bouquet’s engineer, of the Ohio country and the battle of Bushy Run in 1763. 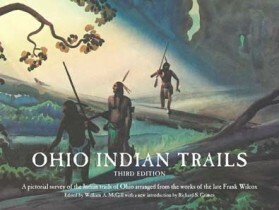 Bouquet’s Expedition Against the Ohio Indians in 1764 is a lasting contribution to our understanding of early Ohio and of warfare and diplomacy in the eighteenth century. EditorMartin West was director of Fort Ligonier, a museum and restored/reconstructed British fort in western Pennsylvania, from 1981 until retiring in 2011. He served on the Advisory Council of George Washington Scholars at Mount Vernon and has been an adjunct lecturer at the University of Pittsburgh (Oakland) and St. Vincent College. He annotated Washington’s autobiographical “Remarks” for George Washington Remembers: Reflections on the French and Indian War and contributed to The Life of George Rogers Clark, 1752–1818: Triumph and Tragedies and The Great Allegheny Passage. West is a graduate of Miami University and holds a M.A. in public history from Wright State University.